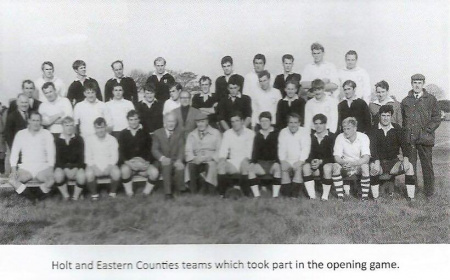 50 years ago on 14 October 1968, Holt RFC opened their new ground at Bridge Road, High Kelling by playing an Eastern Counties invitation XV. The large crowd was entertained by some sparkling rugby, the result of which was Holt RFC 19 Eastern Counties 26. There will be Youth matches played from 1100am prior to the game.